No more ugly stains on your forehead when you have your hair dyed. Hairline Color Shield Pro forms a barrier that protects your skin from the chemicals in the hair dye. Also great as a hair dye remover. With soothing bisabolol and Vit E, all natural fragrance from essential oils. 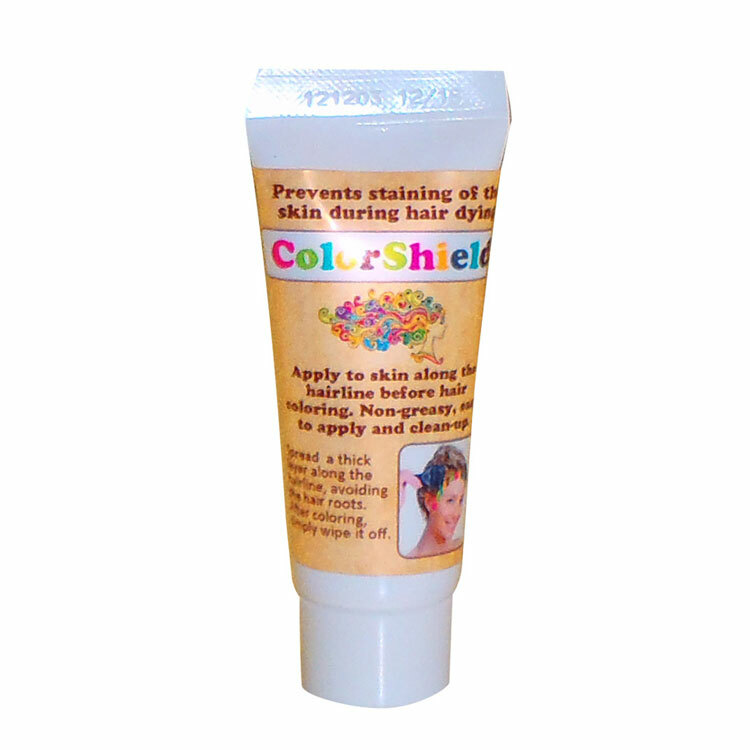 HAIRLINE COLOR SHIELD PRO is the new, simple and inexpensive solution to prevent staining of your skin along the hairline when coloring your hair. 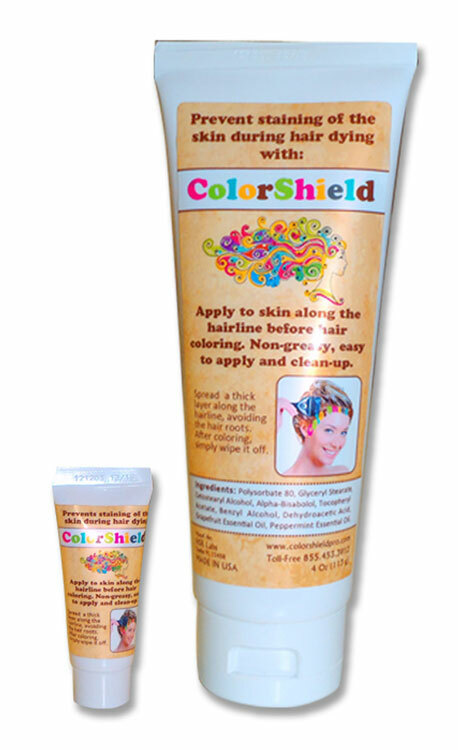 HAIRLINE COLOR SHIELD PRO protects your hairline from unwanted skin staining, soothing your skin with bisabolol (an oil found in chamomile) and Vitamin E while you dye. Avoid stains, redness and irritation. No more scrubbing afterwards...just enjoy your beautiful hair.